3) an unethical flipper doesn’t use the money allocated for rehab to fix the property. Avoiding the third risk is achieved by researching the flipper’s background, checking references, and monitoring the project. The primary mitigating factor for the first two risks is to allow a margin of safety in the loan. The most common scenario for funding flip projects is to lend no more than 75% of the ARV (After Repair Value – what the house will sell for when all renovations are complete). This is commonly referred to as lending at a 75% LTV (Loan To Value), and is one of the lending guidelines that commercial banks have used for decades. This discount is the flipper’s profit and the lender’s protection – if the house sells for 25% less than projected, the lender is still made whole. For example, let’s assume a house has an LTV of $150,000, the flipper buys it for $100,000 and has a rehab budget of $25,000 – a total outlay of $125,000. The lender should lend no more than $112,500 on this property ($150,000 x 0.75 = $112,500). If we assume the flipper acquires the property for $75,000 for a total cost of $100,000 and the lender funds the entire amount, the lender will be well protected with a 67% LTV. The odds that the value of the house would decline from $150,000 to under $112,500 or $100,000 in the time it takes to renovate it are extremely low. Lending at a 75% LTV is sufficient to protect lenders from risk 1 and from risk 2 in all but extreme circumstances. The real risk to lenders is a combination of the two – a situation which is rare. Further, housing prices don’t decline very often. The financial crash of 2008 is a glaring exception. Even in that scenario where housing prices fell 50-75% in the hottest areas, there were plenty of markets where housing prices fell very little or not at all. Unlike the stock market that can suffer gut-wrenching price declines very rapidly, the housing market moves much slower. The markets that suffered dramatic price declines generally did so over a fairly long period of time – 2 to 3 years – and a 25% decline generally took at least 12 months. This leaves flippers plenty of time to cut the sales price of the property and sell it fairly quickly. What lead up to the housing market weakness that has been reported in last few months? The main culprit is mortgage rates which increased throughout the year in 2018, beginning at 3.95% in January and increasing to a high of 4.94% in November. But since November, mortgage rates have declined back to about 4% as of the end of March (https://bit.ly/2iMhsJK). Another factor affecting the housing market is a general slowdown in the US economy, which persists today. A hot topic in the financial press right now is the “inversion of the yield curve” – a term which refers to the situation where shorter term interest rates are lower than longer term rates. This situation is a reliable indicator of a recession 1-3 years down the road. While I am certainly no economist, the current inversion appears mild to me. The two most common comparisons to look for inversions are the 3-month Treasury note vs. the 10-year Treasury bond and the 2-year bond vs. the 10-year bond. As of 3/28/19 the 3 month is yielding 2.43%, the 2-year is yielding 2.23% and the 10-year is yielding 2.39% (https://bit.ly/2SHZ976). The “yield spread” (i.e. the difference between two yields) between the 3-month and 10-year is -0.04% – a slight inversion – and the spread between the 2-year and 10-year is 0.16% – no inversion. I’ve studied historical yield curve inversions and, while they are accurate predictors of recessions, they are 1) usually inverted for an extended period of time – historically at least 11 months (the current one has existed for about a week) 2) the 2-year vs 10-year spread ALWAYS inverts prior to recessions and is currently not inverted and 3) the inversion is much more dramatic than 0.04% – generally at least 0.50%-1.00%. While the current yield curve inversion is an indicator to watch, the current inversion does not portend a recession any time soon. Anecdotal reports from several sources show three things about the current real estate market: 1) buying demand has increased with the substantial decline in interest rates in 2019 and the passing of the slow winter real estate market 2) that the slowdown is concentrated in high-priced real estate and 3) that entry-level and second home markets are still seeing strong demand (https://cnb.cx/2Uj8B5c). While it seems the economy has slowed, the housing market softened towards the end of 2018, and the yield curve has slightly inverted there is little to indicate that a large decline in either the overall economy or housing prices is on the way. The data coming in now has a time lag so it is still reflecting the weaker conditions that existed in the past several months. News reports should begin to report a stronger market in the next few months. However, I don’t like to rely on a strong market to invest in flip properties. What actions should investors that lend on flip properties take to protect themselves if we assume the market continues to weaken? DO NOT LEND OVER 75% LTV! This is by far the most important factor. As stated above, housing declines tend to be a slow bleed and with an adequate margin of safety, lenders should be able to get out of the property and not be hurt by housing declines. Verify the flipper’s ARV is reasonable. Don’t lend on high-end houses – more than about 25% over the area’s median housing price (available on Zillow and Trulia). Check the rental rates on Zillow and Rentometer.com. Would you be comfortable holding the property as a rental for a couple of years as a worst-case scenario? Make sure you are lending in a good market with good job growth, low unemployment, net migration into the area (or at least not net migration out). Do 6 month to 9 month loans so if the market begins to weaken, you can force the flipper to cut the price or foreclose on the property and cut the price yourself. Doug Lovett, CFA owns Irongate Properties, LLC and flips properties in Jacksonville, Florida. 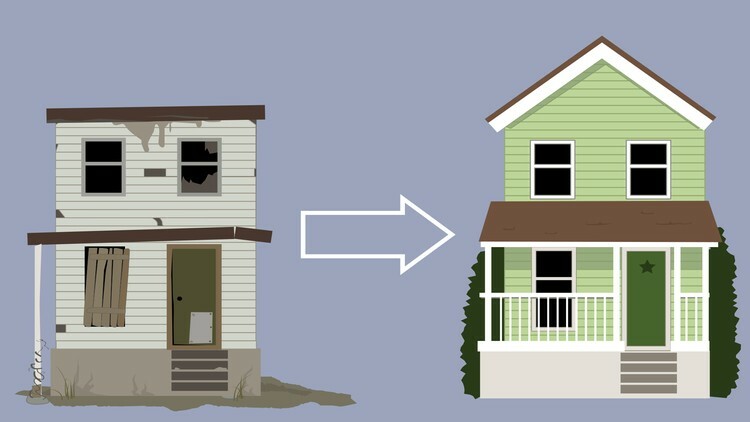 Interested in learning more about lending on fix & flip properties? Visit www.IrongateProperties.com or email him at doug@irongateproperties.com.